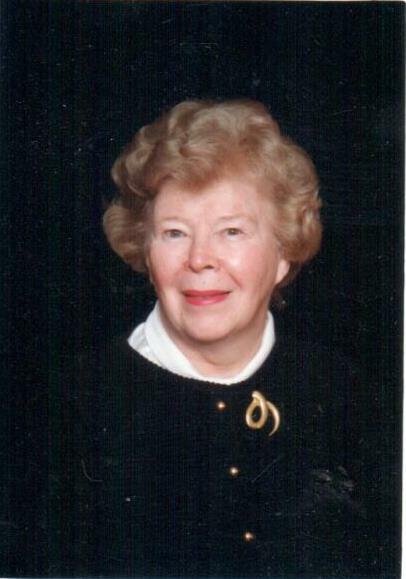 Marjorie Jean (Wright) Wieseman, Westfield resident since 1960, departed this life aged 101 at the Center For Hope Hospice in Scotch Plains, New Jersey, on Thursday March 21, 2019. She was a devoted member of the Woman's Club of Westfield, the First Methodist Church in Westfield, the Genealogical Society of the West Fields, and the Westfield Historical Society. She was a life member of the Order of the Eastern Star, serving as Matron of Minnehaha Chapter #227 in 1951. Born October 24, 1917, in Port Chester, New York, Marjorie attended Hunter College before graduating from Katherine Gibbs Secretarial School in New York. She worked as executive secretary for several businesses, including Life Savers and Homelite Corporation. Marjorie married Carlyle J. Wieseman in 1950, and the family moved to Westfield in 1960. She was active in many organizations locally, with an array of interests that ranged from international travel to genealogical research and beyond. She was an exceptionally skilled craftsperson, turning her hand to everything from dressmaking and decoupage to furniture upholstery and floral arrangements. She is predeceased by her husband, Carlyle J. Wieseman; father Harold M. Wright and mother Henrietta R. (Koopman) Wright; brother Henry T. Wright and sister-in-law Helen J. Wright. She is survived by her daughters, Marcy R. Wieseman of Philadelphia and Marjorie E. (Betsy) Wieseman (Allen K. Wright) of Cleveland Heights, Ohio; granddaughters Catherine E. C. (Caty) Leader and Christina J. W. Leader, both of Philadelphia; niece Sharon Wright DeRosier and nephew Richard A. Wright. Services will be held at Higgins and Bonner Echo Lake Funeral Home in Westfield on March 25, 2019, with interment in the family plot at Kensico Cemetery, Valhalla, New York. Donations in Marjorie's memory may be made to: The Genealogical Society of the West Fields or The Westfield Historical Society.